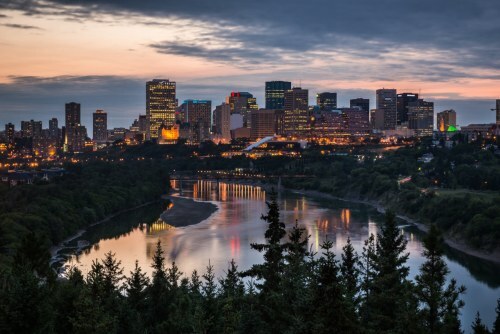 Swoop has dropped the price of their flights from Abbotsford to Edmonton, Alberta down to between $48 and $108 CAD roundtrip including taxes. $48 roundtrip is the 'personal item only' price. 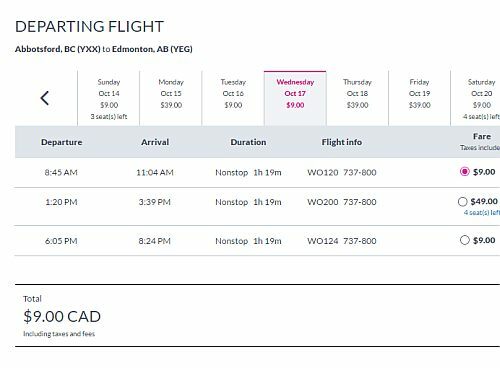 $108 roundtrip is the price with carry-on luggage included (for a fair comparison against WestJet and Air Canada). 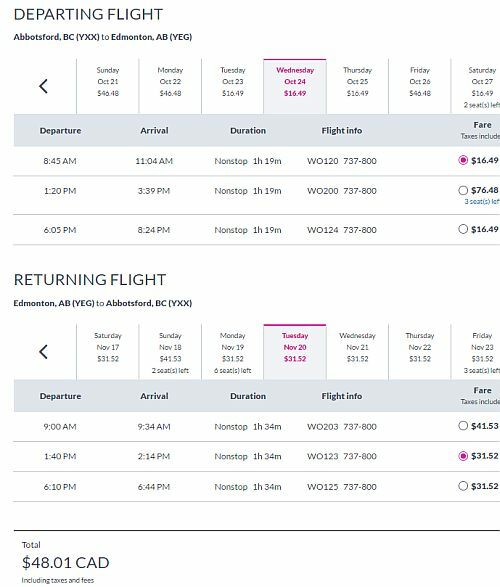 There are also some $9 flights available (personal item only) for one way travel from Abbotsford to Edmonton. Vice versa flights (Edmonton to Abbotsford) are also available for a similar roundtrip price. Christmas and New Year's dates are available! - Look for the dates that are $17 on the way there, and $32 on the way home. Update 9/9 - Christmas and New Year's dates are available! flight deals, canada, abbotsford, yxx, calgary, yyc, alberta, north america and flair air. 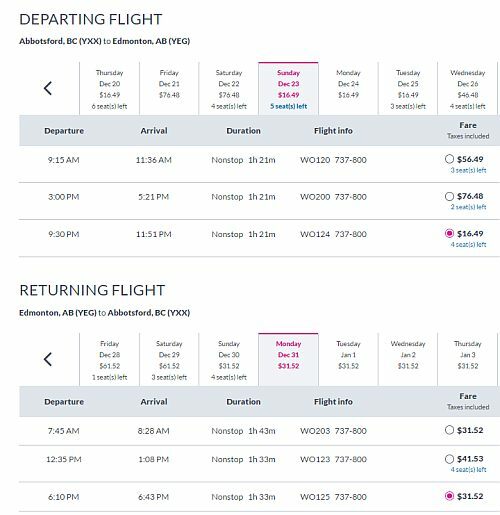 2 Responses to "Abbotsford to Edmonton (or vice versa) - $48 to $108 CAD roundtrip | or $9 one way [Christmas available]"
For four adults (two checked bags, and four seat selections), the total came out to $90 per person. Amazing deal and helps us see our relatives in Edmonton! Nice! No problem AL, I'm glad it helped. Have fun visiting the relatives!